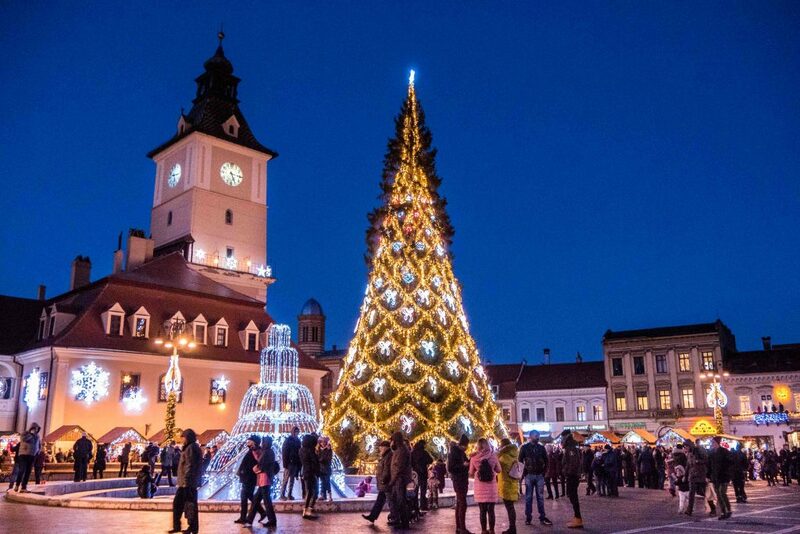 Capture the joyful atmosphere of the winter holidays during this Winter Photo Tour of Romania during Christmas and New Year’s Eve. 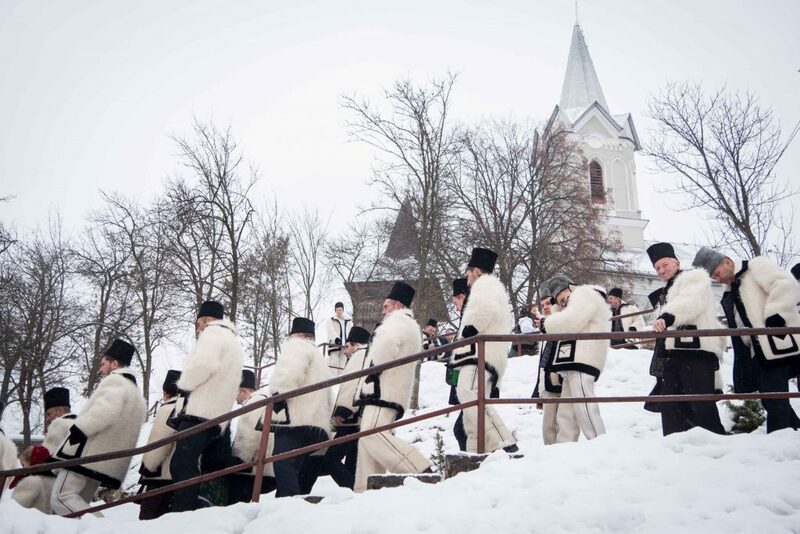 In Maramures you will see people practicing centuries old traditions, caroling and going to church in traditional clothes. 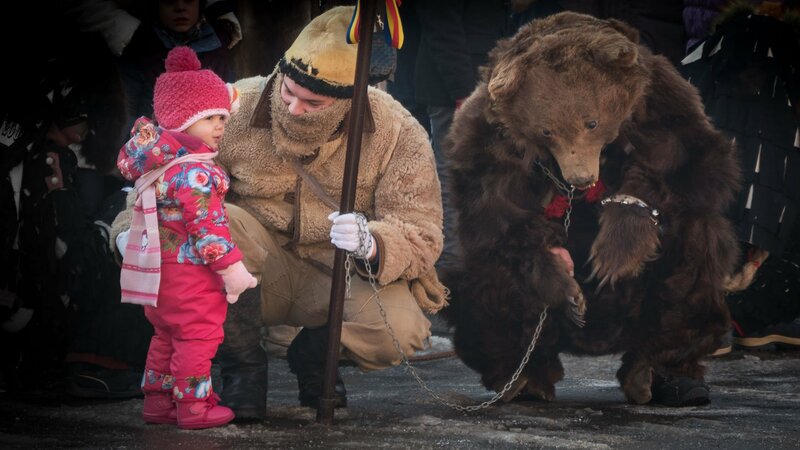 While in Moldova you will see the locals dressed in bear costumes caroling and sending away the bad spirits of winter. 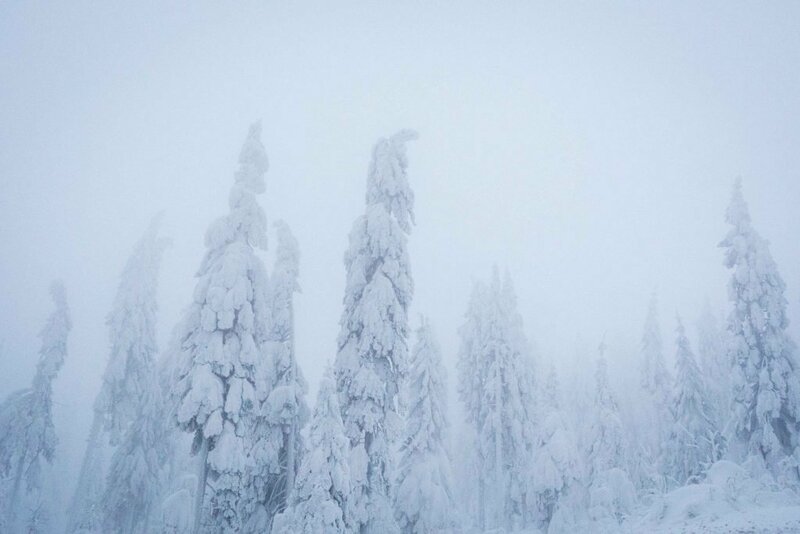 Furthermore, you will photograph castles, wooden churches and medieval towns covered with snow which makes the compositions even more interesting. 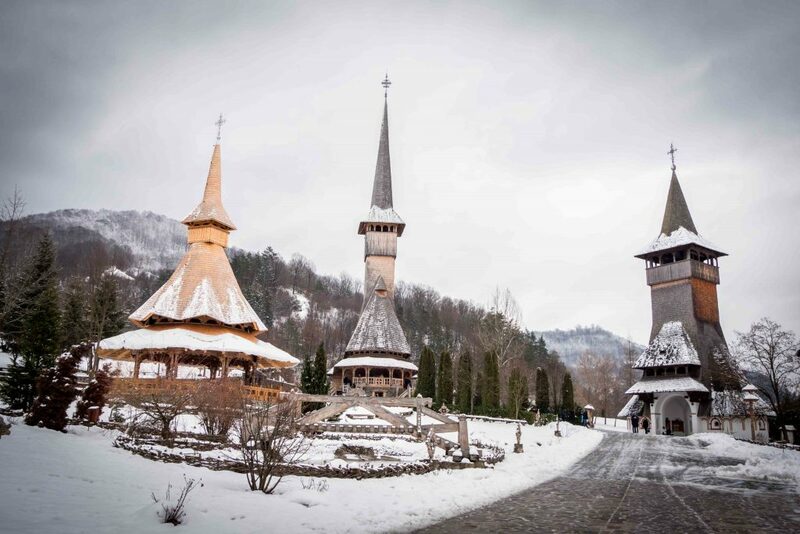 You will meet your guide in Cluj-Napoca and then travel towards Maramures, one of the most authentic regions of Romania where you will spend the first days of your Romania Winter Photo Tour. Get yourself ready for a busy day! In Maramures, the day of Christmas Eve is full of wonderful traditions and well-kept customs and you will be right there to experience it. Start the morning by witnessing how people around the village get ready for the Holy Celebration and cook delicious local foods, followed by a visit to the Merry Cemetery, a one-of-a-kind place. In the afternoon you will meet with carolers wandering from house to house dressed in traditional clothes. 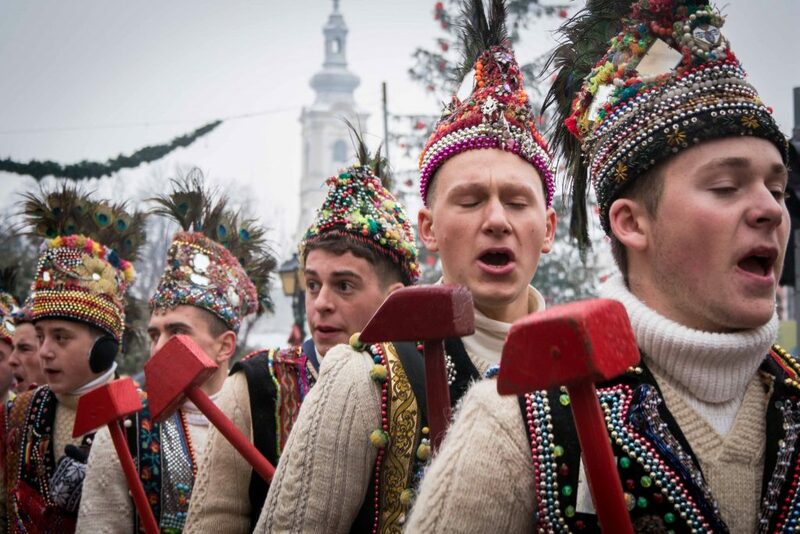 Caroling is a fascinating custom, recently listed as part of Romania’s UNESCO Intangible World Heritage. Later that evening you will also attend Christmas Mass and observe the religious proceedings. The first part of the day will be spent capturing the magical atmosphere of Christmas as villagers go once again to church for the Christmas Mass, this time wearing their best traditional clothes. 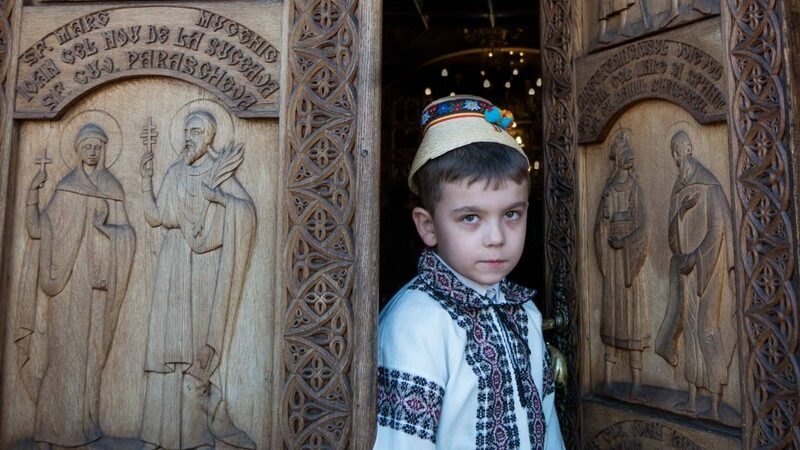 You will then have the opportunity to discover why Maramures is called “the land of wooden churches”. The churches are made entirely out of wood, using traditional building techniques and some of them are even UNESCO World Heritage Sites. So we will look at creating interesting composition with the wooden churches, the villages, valleys and mountains hopefully covered in snow. 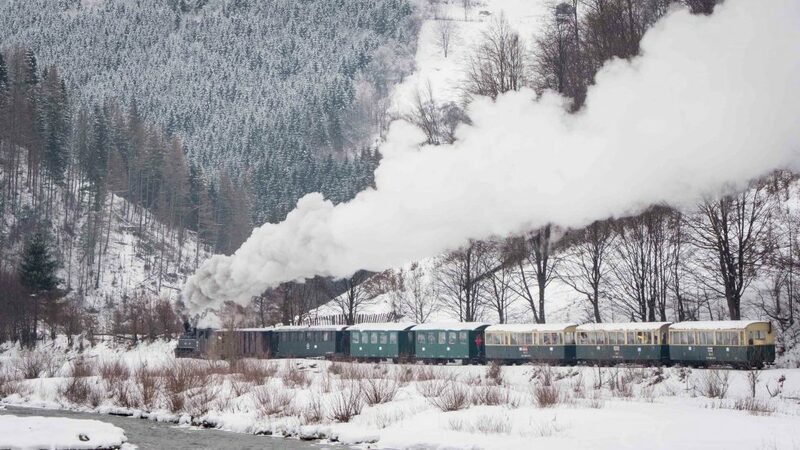 Today you will take part in one of the highlights of your Romania Winter Photo Tour, namely shooting the only narrow-gauge steam train in Europe which is still functional today, Mocanita. The train passes though a spectacular landscape of mountains and valleys and with the winter snow adding a touch of magic, you will be sure to get some beautiful photos. Later that day you will enjoy a ride through the village with a horse drawn carriage, followed by a sunset shoot in the nature. Each year in the nearby town of Sighetu-Marmatiei the local customs come to life as part of a festival, which you will attend. People from villages all around Maramures gather to display their unique Christmas traditions, by way of caroling, dancing and putting on interesting performances. There will be lots of people photography opportunities, you just need to be quick and position yourself in the right place. The guide will provide tips on how to best capture the event. Then you will leave Maramures behind and head to Bucovina. Start the day with a sunrise shoot in the mountains, in a picturesque landscape dotted with haystacks, barns and lined with fences. You will then explore the Painted Monasteries for which Bucovina is so famous. Most of them date from the 15th and 16th centuries and are majestic examples of Byzantine art. You will visit two of the most famous ones, also UNESCO World Heritage Sites: Moldovita Monastery and Sucevita Monastery. Not only will you be able to capture the impressive architecture and colorful exterior frescoes of the churches, but also the beautiful natural settings in which they are located. In the last part of the day you will have a shoot of Mocanita Hutulca, another of Romania’s steam trains. As the train travels through villages, forests and by the river you can capture it in motion. Amongst Bucovina’s Painted Monasteries the most famous one is Voronet Monastery, known for its unique shade of blue. Worth-admiring are also the stunning paintings, which gave the monastery the nickname of “the Sistine Chapel of the East”. Next, you will stop for a visit at the Neamt Citadel, a massive medieval fortress located in the heart of the nature. Optional, we can also include Pangarati Lake, a place where hundreds of birds live during the cold winters. You can photograph swans and wild ducks and other birds as they glide across the clear surface of the water. 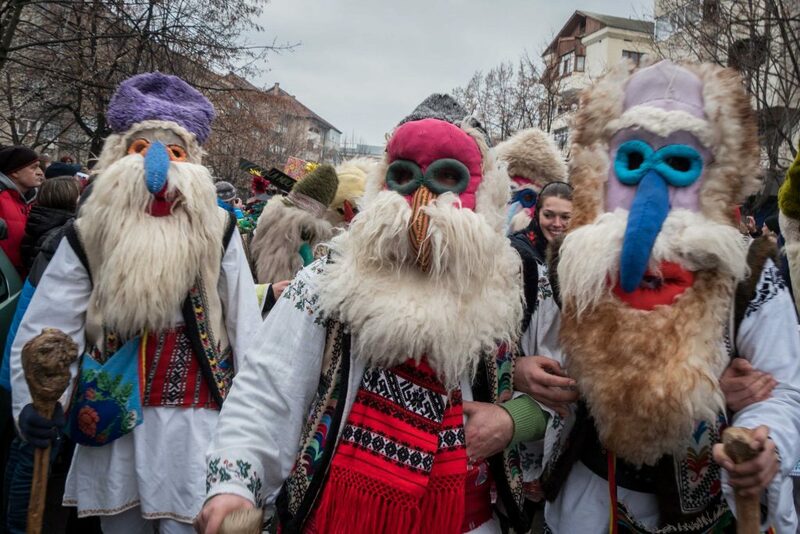 You will leave Piatra Neamt and head towards Brasov, stopping on the way in Comanesti, where you will attend one of the most interesting Winter Festivals of Customs and Traditions. 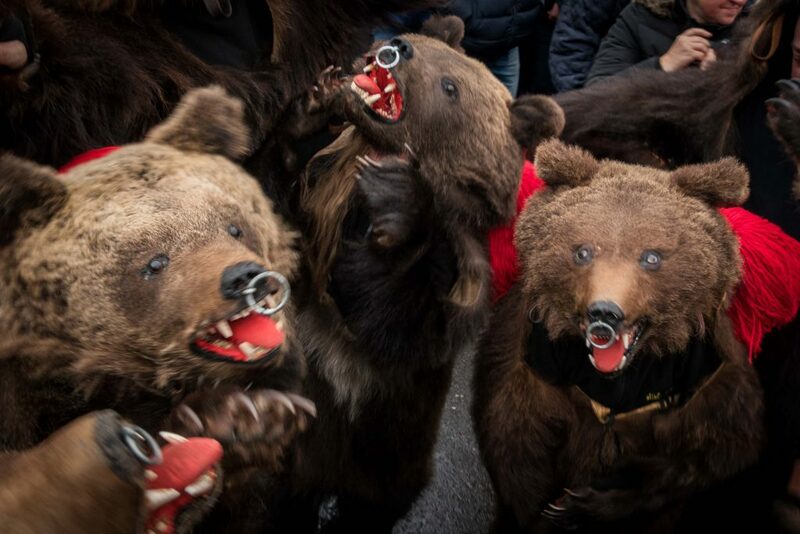 You will be able to witness and photograph people bringing to life customs from all regions across of the country, amongst which “The dance of the Bear” is the most impressive. 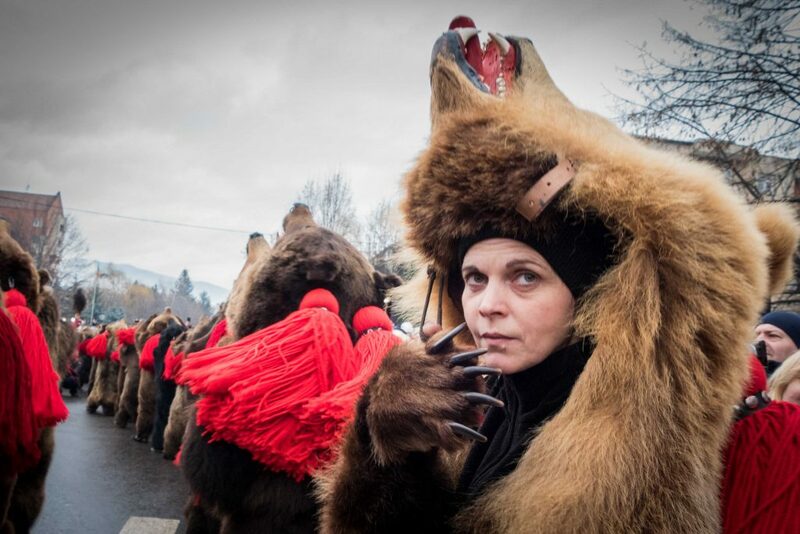 During the bear dance both man and women, young and put on bear skins, dance and stroll through the town in an impressive and surreal display of color and liveliness. This will offer abundant opportunities for taking really unique shots and at the same time learning about this very special custom. 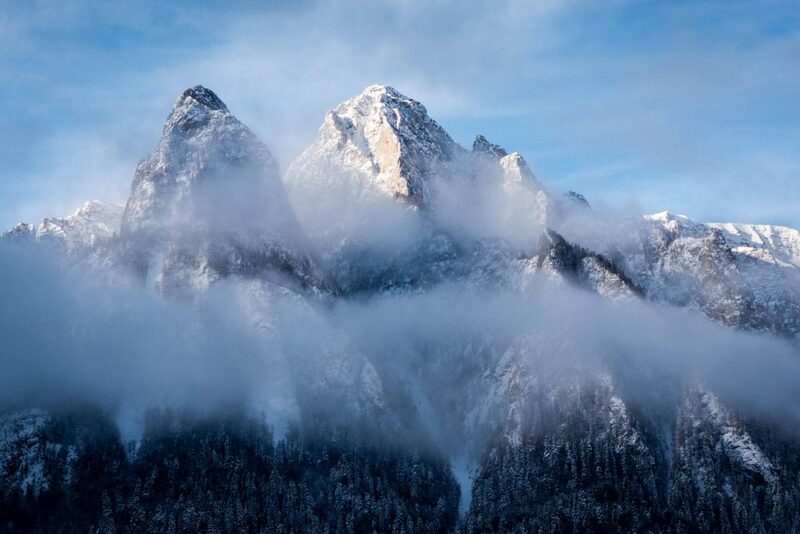 In the afternoon we will travel to Brasov over a mountain pass and as we will find interesting landscapes or situation one the way we will make one or two stops. This day will be fully dedicated to discovering Brasov, a captivating city surrounded by the Carpathians. You can stroll through the Old Town, hike to the nearby Tampa Mountains (also reachable by cable car) for a great panorama or spend a few hours exploring and photographing the Christmas Market. You will also have a blue hour shoot in the city, the perfect opportunity for capturing the beautiful architecture and festive atmosphere. At night you can gather in the main square and count down to the New Year, welcoming 2019 with a fireworks show! 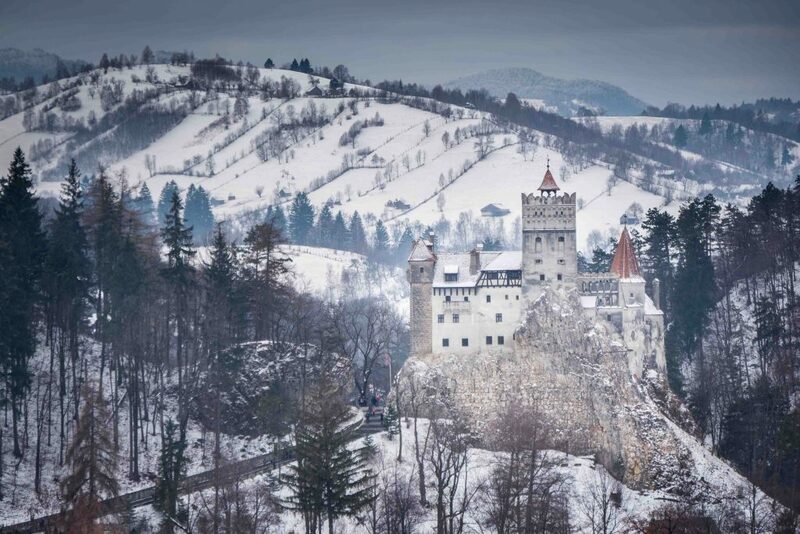 What a better way to start the New Year than by visiting the famous Bran Castle, known for its association with Dracula. You will now have the chance to learn its true story and uncover its mysteries. Due to its location, perched on top of rocks and surrounded by the forest, you will also photograph the imposing medieval monument from a distance. 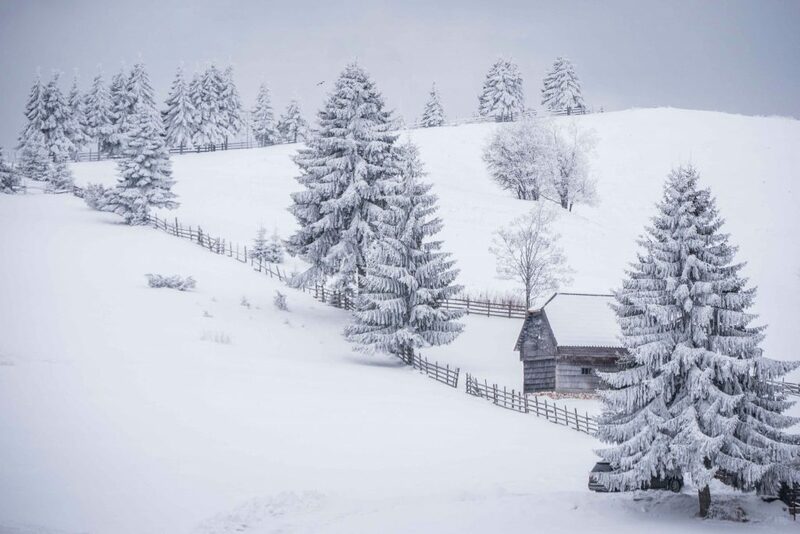 In the second part of the day you will have the opportunity to capture the picturesque natural landscape in the vicinity of Bran and Brasov, an area which has many traditional houses scattered around the hills and country roads bordered by wooden fences. On the last day of your Romania Winter Photo Tour during Christmas and New Year holidays you will be transferred to Bucharest, from where you will take the flight back home. 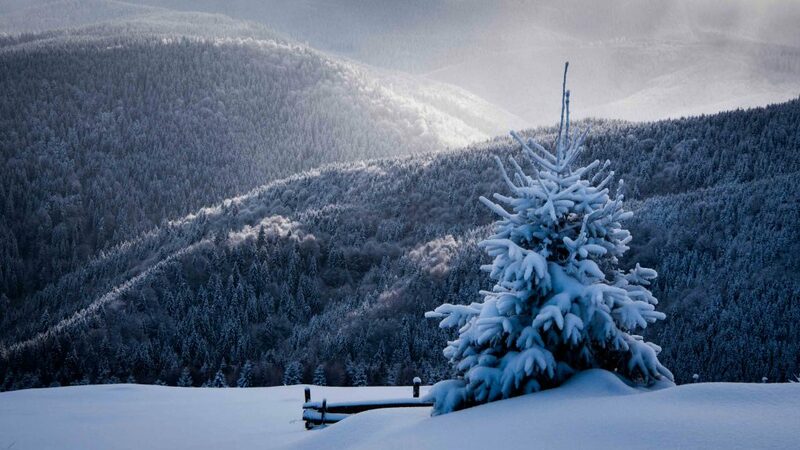 We hope you had a wonderful holiday in Romania! 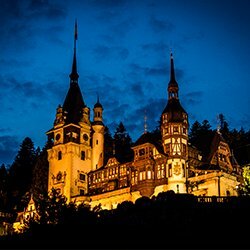 This winter photo tour of Romania is designed to start from Maramures (Cluj Napoca airport is the closest) and to end in Bucharest, but we can adapt the tour to other places of arrival and departure as well. This photo tour can be organized for you and your family or group only if you wish. When contacting us please let us know if you want it private or if you are ok with sharing it with other people (this way the price/person will be lower). 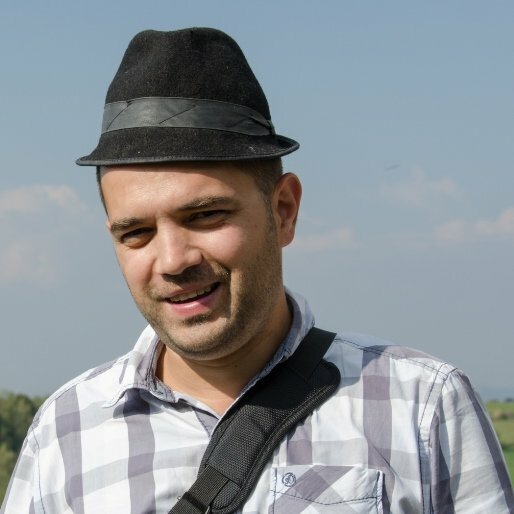 Daniel is a Romanian tour guide since 2011 and the very first tour he organized was for photographers. Since then he ran tours for several international photo tour leaders including a Pulitzer Prize winner so he became very aware of the specific needs of photographers. 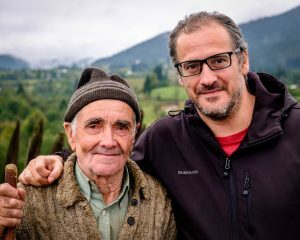 He really loves the rural areas and people practicing traditional occupations and helps photographers interact with them. Previously he worked for Microsoft, Soros Foundation, Ecosistemi, Deloitte and AIESEC, lived in 4 different countries and traveled to another 30 on 4 continents. This is a cultural tour which focuses on photography by putting you in contact with interesting locals and also planning visits around interesting events and the good times of the day to take pictures. This means that on some days you might wake up early for sunrise or stay up late for sunsets and the blue hour, it is up to each participant though. It also means that the tour plan is flexible and can be changed depending on weather conditions and photography opportunities found on the way. Besides the planned visits at places of interest and people we’ve also planned time for 2-3 stops/day as we drive around the countryside as there are always unplanned very interesting photo opportunities, especially focused on people. 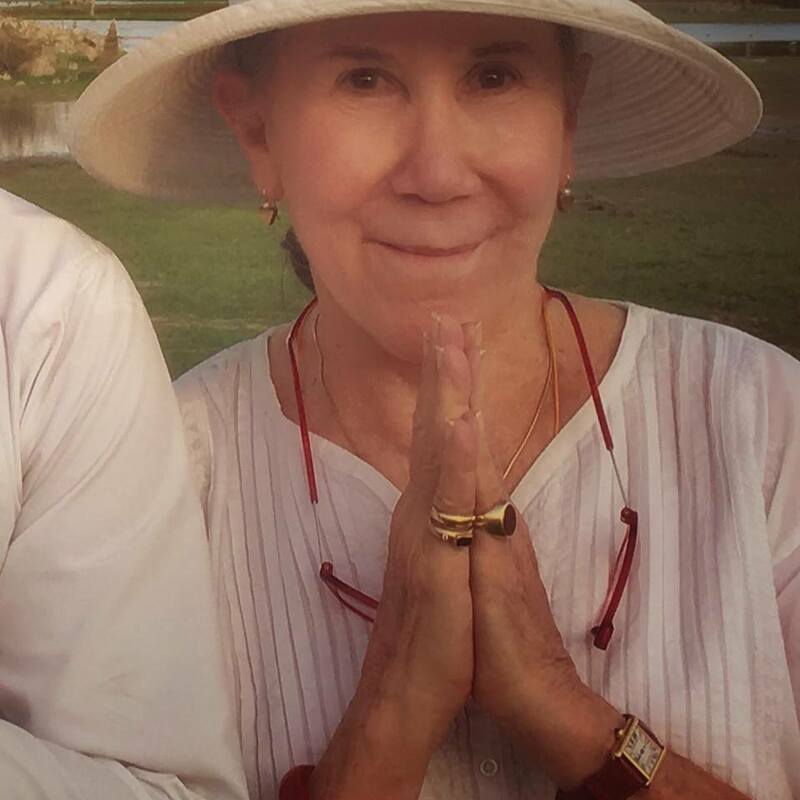 It will be the tour guide who will make the call where and when to make those additional stops. This tour is not meant to be an intense photography workshop with non-stop shooting, editing and image reviewing. The pace will be moderate so you can actually enjoy it as a holiday and learn about the culture you are visiting. The tour guide leading this photo tour has good knowledge of photography but he is not a professional photographer or teacher. So you will be able to have interesting discussions about composition and some technical aspects but you will not be able to have very in-depth technical discussions. For prices, please contact us for details.